While we wait for the Samsung Galaxy Note Edge to be fully launched by the manufacturer, and Android Lollipop to come on the Samsung Galaxy S5, looks like folks over at Samsung are hard at work over their next flagship devices. Samsung’s Project Zero, or the Galaxy S6 has cause quite a lot of buzz these days and today we have confirmation for you that the next Galaxy flagship smartphone will indeed be called the Samsung Galaxy S6. And there’s more in that department as well. 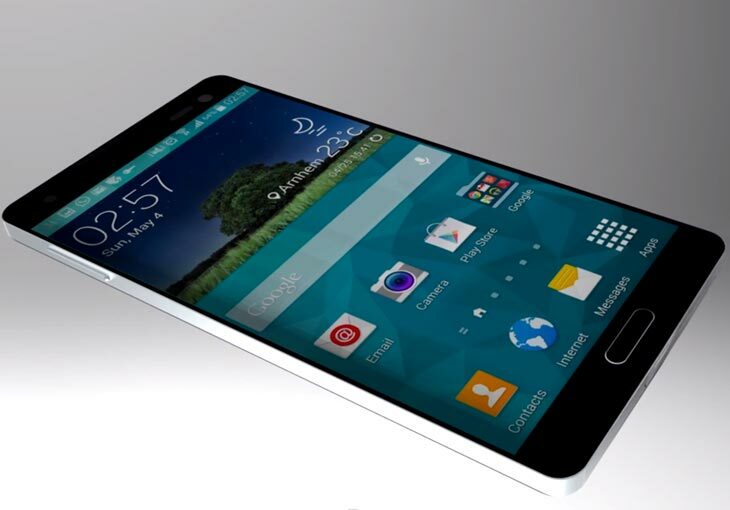 Samsung Galaxy S6 Confirmed – Samsung To Also Launch A Galaxy S6 Edge Variant Of The Device. Folks over at Sammobile, who generally have the best inside scoop on Samsung devices, as their name suggests have confirmed that the next Galaxy flagship smartphone will be called the Samsung Galaxy S6. In addition to the Galaxy S6, Samsung will also be launching an ‘Edge’ variant of the Galaxy S6, which will undoubtedly feature a curved screen side to display notifications. Specifications for the Samsung Galaxy S6 remain similar to what we told you before. The Samsung Galaxy S6 will come with Qualcomm’s 64 bit Snapdragon 810 SoC, which is a much needed development owing to Android Lollipop’s release. In addition to this, the device is also expected to feature a 64 bit Exynos 7420 on some variants coupled with three storage options, namely 32, 64 and 128 GB. Camera resolutions for the Samsung Galaxy S6 are expected to be a 16/20 MP rear camera and a 5 MP front camera. The resolution for the Galaxy S6 will be 1440 x 2460. An interesting feature expected on the Samsung Galaxy S6 is the Exynos Modem 333, which is expected to improve power consumption coupled with improved Wi Fi, LTE, Bluetooth and GPS connectivity. Broadcom’s BCM4773 sensor chip is also expected to make an appearance on the device.